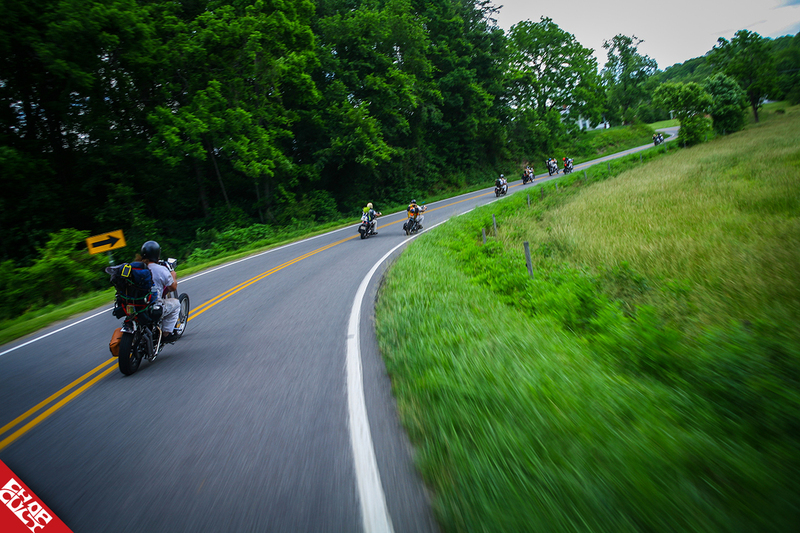 What do you get when you add motorcycles, the backroads of Kentucky, and a camera? 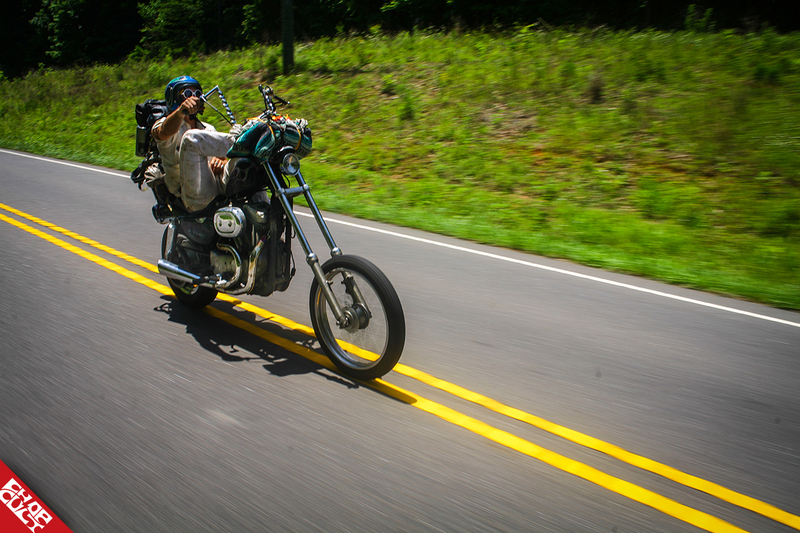 The answer is “Lost In Appalachia”, created by ChopCult member Jerimiah Smith. Jerimiah is a freelance photographer based out of central Alabama. He was born and raised in the Santa Cruz Mountains in Northern California until he was 19, and then made the leap to Chicago shortly before his 20th birthday. 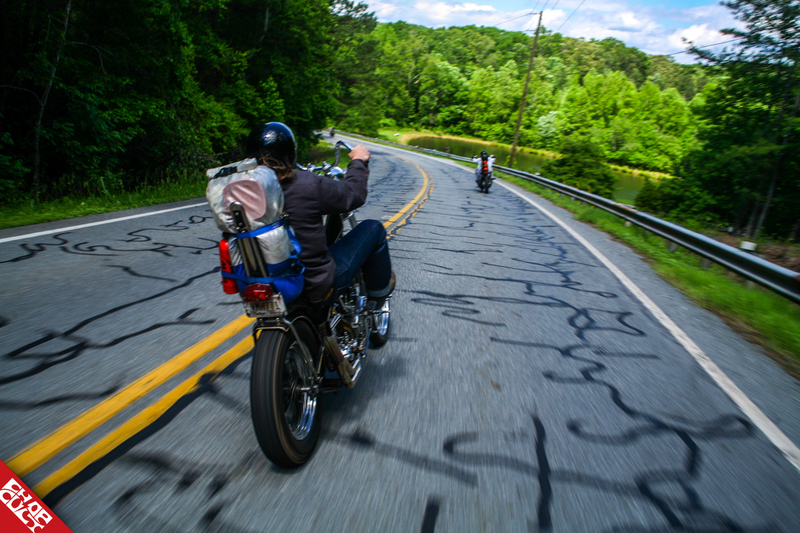 Taking motorcycle and skateboard trips across the country inspired him to shoot photos of these special moments that not a lot of the general public ever got to see. 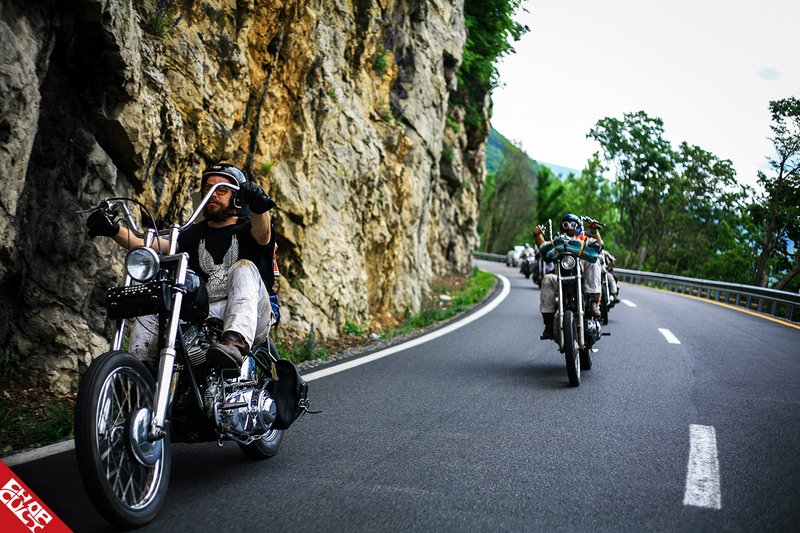 For 10 years he lived in Chicago, worked 40 hours a week to survive, and enjoyed traveling with his best friends on old Harleys. Shooting film from a Canon EOS 1N was not his first choice, but it was cheap and the only camera he ever had experience with. 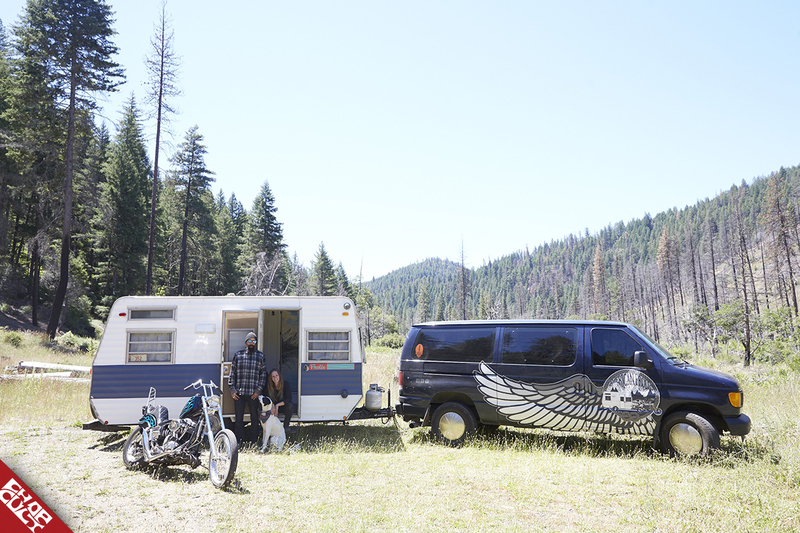 In June of 2015, Jerimiah and his longtime girlfriend Stefanie sold everything they owned and moved into a vintage camper trailer. With no timeframe or real destination in mind, they set out to see America for as long as they could take two-lane roads, forever hoping for a new place to call home. But the day they left he had one last stop in the city, Central Camera. He pulled the trigger and decided to get his first ever digital camera. A Canon 50D with a 50mm 1.8. Jerimiah and Stefanie spent almost two years traveling the country, working odd jobs, and seeing friends across 40+ states. In October of 2017, Jerimiah, Stef, and their dog Hank found themselves backing up their camper one last time. They landed in a small town 20 miles south of Birmingham, Alabama. Jerimiah enjoys their three acres of land, riding dirt bikes, traveling on old bikes, and shooting people around his home and downtown Birmingham. He's since upgraded his camera setup to a Canon 5D but still uses his trusty "Nifty 50" for almost 90% of his work. 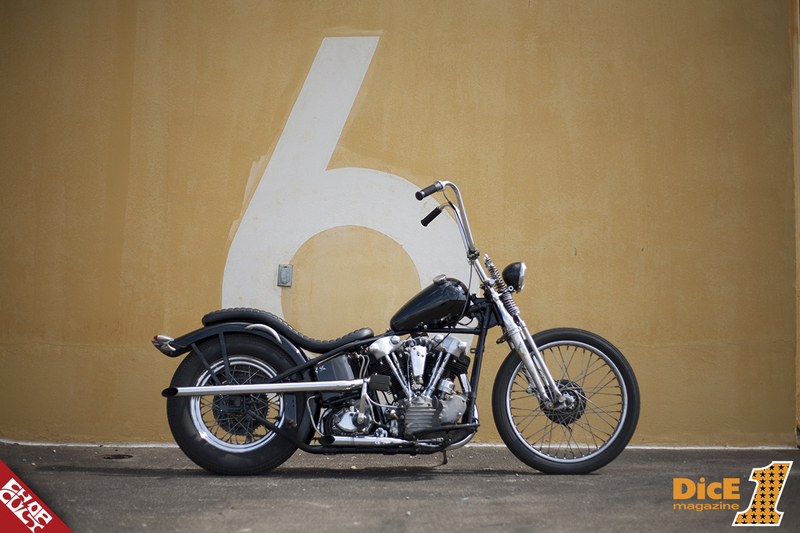 Jerimiah enjoys shooting custom Harleys for DicE Magazine and has currently published his very own coffee table book. I recently had the chance to catch up with Jerimiah, and this is the result of our conversation. Enjoy! How many years have you been riding? I must say I didn't start riding street bikes until my mid-20's. I kinda grew up the poor skateboard kid, and even though I was around motorcycles my entire childhood, I really couldn't afford one even if I had interest. I bought a 1975 kz400 first, did a couple of small trips on it. I met the BRAVETOWN guys in chicago through mutual friends, and that's where my love for choppers began. 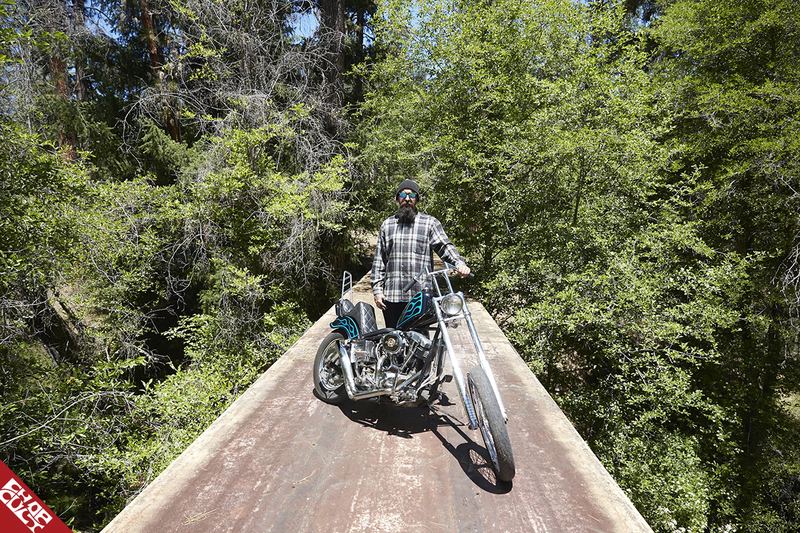 I started with a 1977 xs650 that those boys helped me chop up and hardtail. After that, my aunt back in California heard through the grapevine that I was getting into bikes and passed on my Uncle Jimmy’s shovel that she was keeping as a shrine. 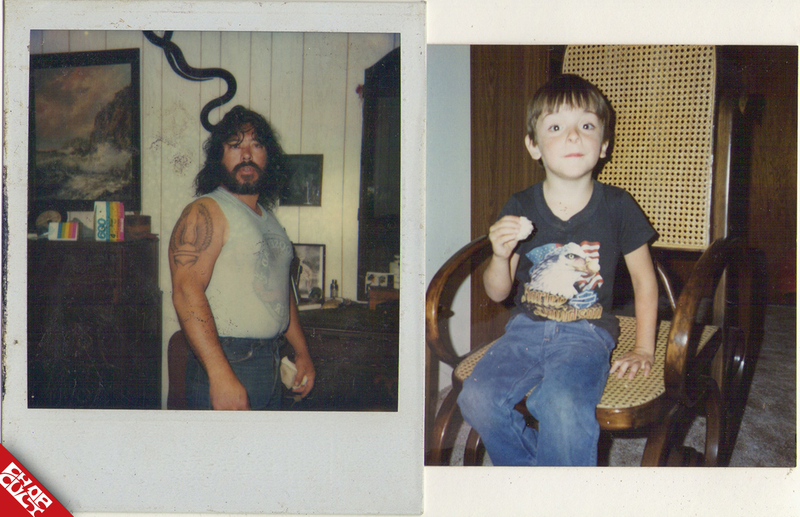 He died on that bike back in 1988 and my aunt said she was going to give it to me when she died, but realized I rode on the bike before I was born, and told me, "Your Uncle Jimmy used to give your mom rides to the hospital on that bike while she was pregnant with you". My mom’s gone and so is he, so it's the bike I'll always have. 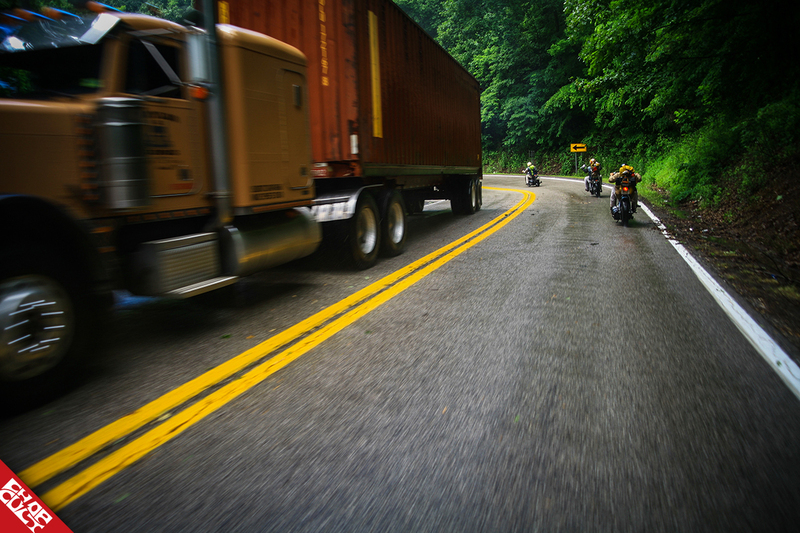 What type of motorcycle do you currently own? Just the 1973 Harley Davidson Shovelhead. When did photography come into your life? I shot a lot of film in middle school, believe it or not, we would develop it in class, and I loved the whole process. I kinda fell off until I started traveling on bikes across the country and wanted to document it. All I had was a Canon EOS1N film camera, and I would kinda just shoot from the hip. I put everything in automatic mode and got all my film developed at Walgreens. It wasn't until we left chicago in 2015 that I bought my first digital camera. I started shooting a lot over those two years, ‘cause we were traveling so much and saw so many cool things across the country. What was your very first camera? The very first camera I ever owned was that Canon EOS1N and I still have it to this day. What type of camera do you currently use? I was doing most of my work with a borrowed Canon Mark 1 and a 50mm 1.8 lens because my 50D got dropped one day, and never turned on again. I recently pushed over to the mirrorless world, and I've been shooting with a Fuji XT1. I'm very excited about it: it's been a fun few weeks learning it. How long have you been contributing to DicE Magazine? I've only been contributing to DicE for about a year. It all kinda started with the last Super Trip I went on with The Haints and snowballed into me shooting a feature for pretty much every issue after that. It's been a huge opportunity for me, and I can't thank Dean and Jimmy enough for having so much faith in my photography. They make it so easy, and i couldn't be more proud to be a part of something so special. 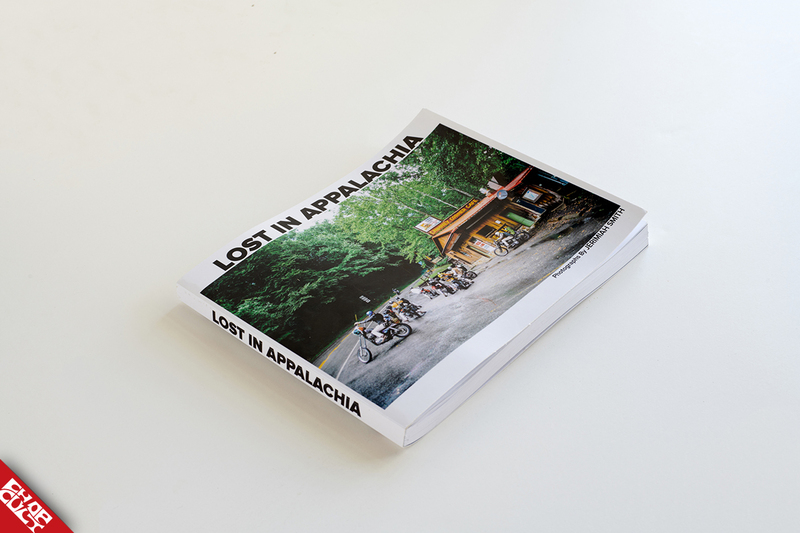 Congratulations for publishing your first book “Lost In Appalachia.” How did the book come about? Well, thank you, Lisa!! I started looking at all the images I had, something like 3000 in total. I realized it kinda told a cool story, so I started going to Target with my flash drive and having them printed out. I started laying out the images in a sketchbook, and I thought it would be cool to make it into an actual book one day. My good friend Nick Brunson here in Alabama owns and operates Banner Digital Printing & Publishing, and when I told him my idea to print the book, he was very excited to help me. 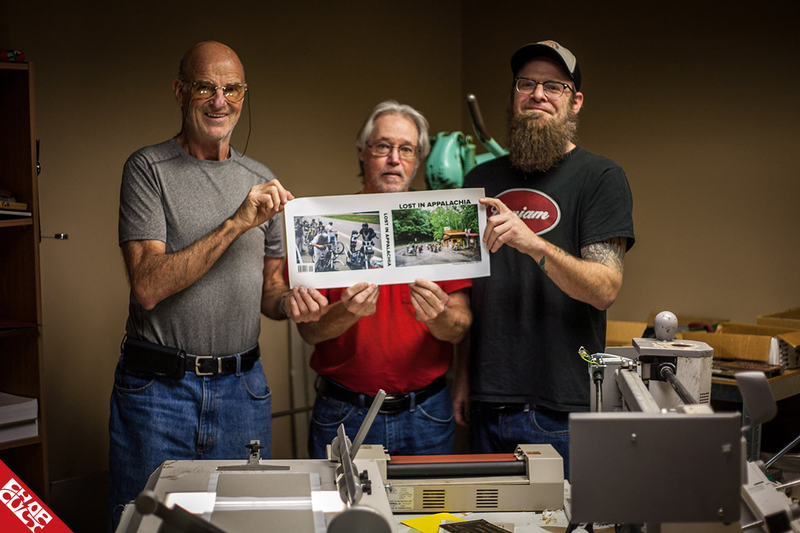 Him and his father have been working side by side for nearly 30 years hand-binding books: when I went to there warehouse for the very first time, I fell in love with all the old machines, and it just felt like the right place to have it made. 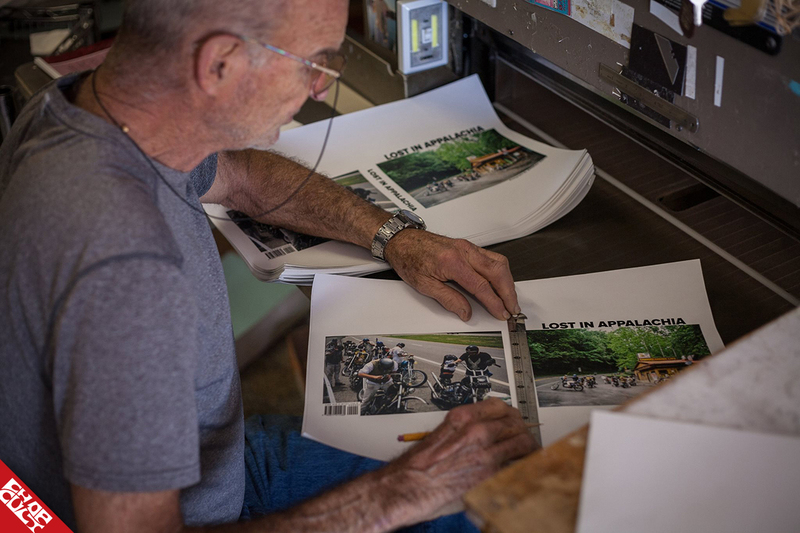 Every book is printed and hand bound right here in Birmingham, Alabama, and I couldn't be more proud of that. Was it hard to choose which photos made the cut? Yes, it was very hard. It was even harder to lay the images out in such a way where it felt kinda natural; like you were going along for the ride with us. I have some serious OCD when it comes to that sort of stuff, and I can't thank Nick enough for putting up with me asking him to “ move this image here, or let’s switch this photo for that photo" He's a real patient man. What is the price point and where can people purchase it? My Presale is in it’s final week and ends this Friday, 4/27. The price point for these softbound versions are $60 and can be purchased at www.jerimiahsmithphoto.com. Would you like to give thanks to anyone special? I would like to thank Nick Brunson and his Pops for making my bookmaking dreams come true. I'd like to thank Kyle,Tyler, and Mikey at Lowbrow for supporting me and helping me get my book out there in the world. Jill and Kyla from Our Wild Abandon for lending me their camera for almost two years allowing me to shoot, Team Haints for being some of the raddest group of friends a guy could ask for. Bravetown boys, Bobby The Leg, Shu Shop Crew, Patrick Katzman, Billy Childress, Josh Kurpius, Alec Ozawa, Kevin Penczak, Purvis, Missy, Josie Perez, Shelby Lee Adams and Yellowhammer Collective. I'd like to thank all the people that have spent their hard-earned money on purchasing one of my books; you guys don't realize how awesome it feels to be supported by friends and complete strangers all over the country. Last but certainly not least I would like to thank my lovely girlfriend, Stef, for supporting me and giving me her honest opinion throughout this whole process. I couldn't have done it without her. I would like to thank Jerimiah for helping me with this feature. Kindly check out his website and give him a follow on Facebook and Instagram. Nice pix ! Keep up the good work ! Great book to look at when you can't ride! !